How annoying is it when Blogger tells you you’ve used you 1GB allowance on Picassa for photo uploads? I know I’m nowhere near that and it won’t even let me access my ‘web album’ to delete old photo’s. Picassa you fail me. Moaning aside, here’s yet another eyebrow kit. This time bought to you by Look Beauty. I’ve kept it no secret that the Look Beauty* range ranks highly on my list of praised brands. Their value for money and quality products are certainly worth every penny, EVERY PENNY I TELL THEE. 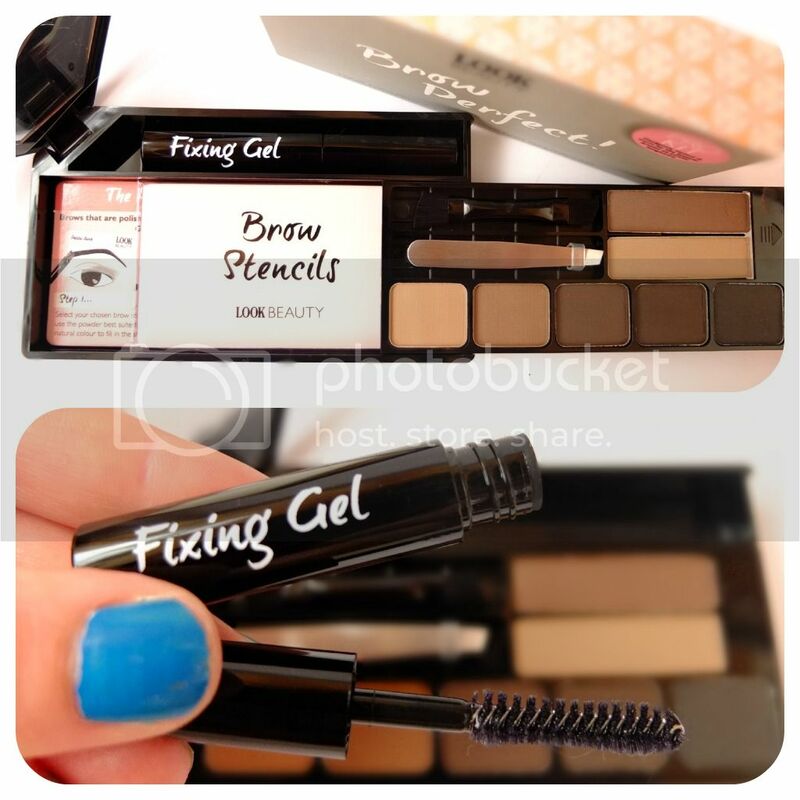 I recently got their Brow Perfect eyebrow kit, which claims to be ‘your foolproof brow perfecting masterclass’…. but is it? IZZIT? Read on to find out…. The best best best thing I liked about this little kit was the packaging. A sturdy plastic case with a mirror that opens to the side. It’s such a quirky little set. It’s also a lot more generous and thinks of a lot more than sets I have tried in the past. It takes pretty much all the great elements from every other eyebrow set and compacts them into one palette. A nice touch to this set which I’ve not noticed in other was also the addition of the ‘brow fixing gel’ which is basically a clear mascara that keeps those pesky brow hairs in place. 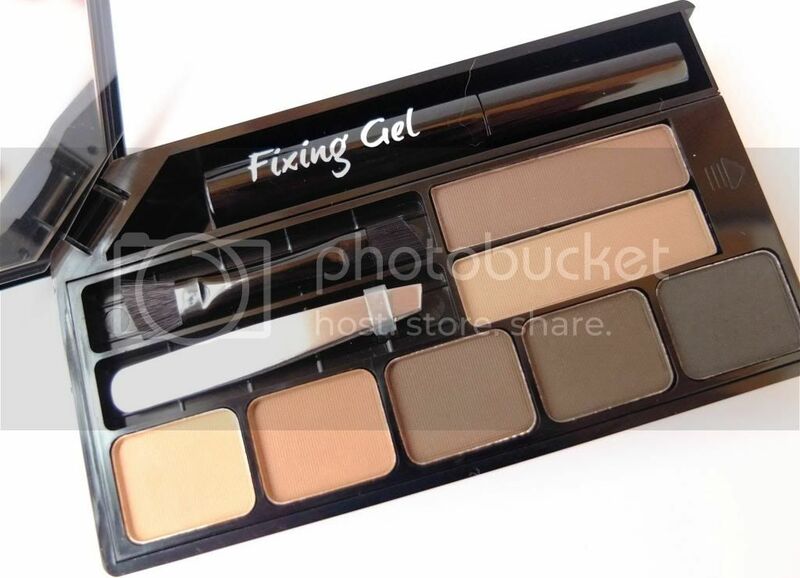 They’ve certainly taken into account every skin tone and shade of brow you can imagine with colours ranging from the darkest browns to a very light fleshy tone. I must say, I think it would have been nice to separate these into separate sets though, as I know I won’t be using some of them, unless I utilise them somewhere other than the eyebrows like as a neutral eyeshadow or something. 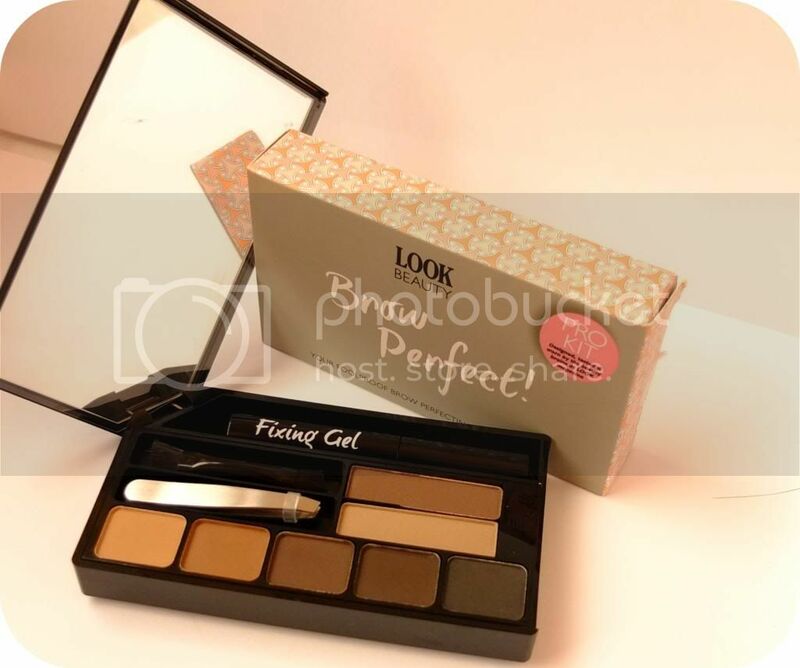 All the powders are in true Look Beauty style – great quality. They’re highly pigmented and don’t fall from the little brush when applying too much. Another nice touch to this palette is the slide out drawer. It’s like a bigger version of my beloved Oriflame brow kit. Under the slide out drawer you find all the literature you need to perfect your eyebrows and also some stencils to follow to get the right shape.